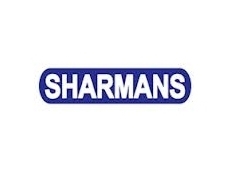 MD & LA Sharman Pty Ltd (Sharmans) offers one of the largest ranges of press wheel assemblies in Australia. 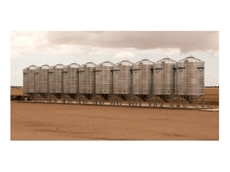 MD & LA Sharman offers products such as silos, press wheels, portable sheep feeders, coulters, winch hitch, sharman shelters and smart store. 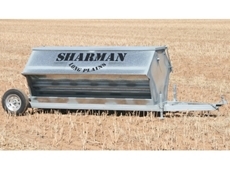 Winch hitch product from MD & LA Sharman is designed in such a way to make light work by means of lifting up field bin drawbars. Winch hitch product from MD & LA Sharman involves placing of hook through the tongue of the drawbar and wind in the chain. After the chain is secure and tight, one has to place a pin in front of the hook so that it is secure and is also ready to drive away. Winch hitch product from MD & LA Sharman involves one man operation. Winch hitch product from MD & LA Sharman is adaptable to most vehicles. Winch hitch product from MD & LA Sharman involves low maintenance. 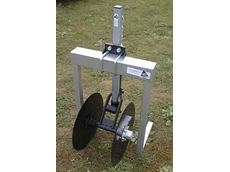 Winch hitch product from MD & LA Sharman offers less chance of injury to back. Winch hitch product from MD & LA Sharman also helps to reduce operator fatigue. Smart store aeration controller from MD & LA Sharman is developed and tested for more than three years. Smart store aeration controller from MD & LA Sharman checks air and grain temperature. Smart store aeration controller from MD & LA Sharman controls up to 12 aeration fans.